Philippe Ziade graduated with dual degrees in Civil and Mechanical Engineering and speaks three different languages. Now as President and Co-founder of Appleton Properties, he is recognized as a leader in his industry, specializing in Las Vegas residential, multi-family, custom homes, commercial and gaming resort hotels. Ziade is leading Appleton Properties into one of the most prominent and successful privately owned Real Estate Investment Companies in Las Vegas. Ziade’s firm quickly developed a reputation for building high-quality homes and wonderful commercial projects while making sound Investments, Sales, Acquisitions, and Development. His knowledge and his reputation remain true today as evidenced by his awards of achievement and combined 30 years of experience. Ziade, also co-founded Ferraro Marble Group in 1999. The group grew to be a worldwide importer and nationwide fabricator and installer of natural granite, marble, limestone, ceramic and porcelain products. Servicing and overseeing large scale residential and hotel projects, with a list of clientele to include Encore at the Wynn Hotel, Cashman Center, Forum Shops at Caesars Palace, Turnberry Towers, and Marnell Corrao just to name a few. Ziade is also President of Progressive Construction, Inc founded in 1993, which is a dynamic, multi-million dollar General Contracting/Construction Management firm known for providing innovative solutions to construction projects of all sizes and types. Their projects consistently meet budgets and schedules while exceeding the expectations of their clients and their team of highly-qualified professionals are dedicated to providing their clients unsurpassed service. Progressive Construction’s client list ranges extensively from Four Seasons Hotel, Ashbury Capital, JPMorgan Chase, New York Public Library, The Lombardy Hotel and Trump International Hotel & Tower, just to name a few. At the same time, Ziade’s growing family likes to make a difference in the community in which they live by getting involved in positive women’s and children’s charities by giving back their time and support. Ziade’s memberships and awards include: ASME (American Society of Mechanical Engineers), Tau Beta Pi (The Engineering Honor Society), PMI (Project Management Certificate). Philippe Ziade makes The Wall Street Journal Top 250 real estate professionals. The Wall Street Journal and Real Trends, Inc have compiled a summary of the Top 1,000 real estate professionals and teams in the United States. The link listed above is the Top 250 real estate professionals based on number of closed transaction sides for 2012. Ziade was Ranked #13 in the US with 420 transactions closed in 2012 and # 1 in the state of Nevada for both number of transactions and dollar Volume. 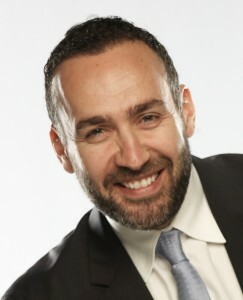 The Wall Street Journal and Real Trends, Inc has also recognized Ziade’s accomplishments for 2011 ranking him at # 46 with 269 Transactions closed in 2011. The Wall Street Journal and REAL Trends, Inc. Top 1,000 Real Estate Professionals recognizes the top one half of 1 percent of the more than 1 million REALTORS(r) nationwide. The report is divided into four separate categories of Top 250: Sales Professionals by Transactions Sides; Sales Professionals by Transaction Volume; Teams by Transaction Sides; and Teams by Transaction volume. The Greater Las Vegas Association of Realtors (GLVAR) and its Young Professionals Network of Las Vegas (YPN) announced Philippe Ziade of Vibrant Realty is a winner of their “Top 40 under 40.” The award acknowledges Real Estate Professionals under the age of 40 who demonstrate excellence in their careers and service to their community and to the real estate industry.